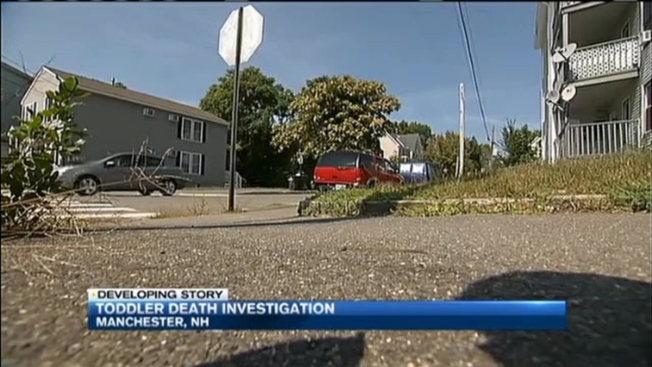 A toddler is dead in a holiday weekend tragedy in Manchester, New Hampshire, but details on what exactly happened are limited at this point. The New Hampshire Attorney General's office and Manchester Police will only say that a 21-month-old girl died Sunday night after being rushed to the hospital from her home Saturday. Those close to the child, and neighbors refused to talk with necn on camera Monday. Investigators say it happened on Belmont Street, when at about 1:30 Saturday afternoon there was a 911 call for an unresponsive child. Senior Assistant Attorney General Ben Agati told necn over the phone Monday that the little girl was rushed Dartmouth Hitchcock Medical Center. "Investigators are going through the process now to try to figure out exactly who was in the home, who had access to the child," he said. Agati says the child died Sunday night. We don't yet know exactly how, but it seems that drowning has been ruled out. "There is no indication that there is a pool involved at this point," Agati said. "Unfortunately, I think it would be speculation if I were to say that it has something to do with the holiday or with a gathering or anything like that we just don't have the answers to those questions yet." Authorities are calling it an "untimely" and "suspicious" death. Manchester Police are asking anyone with information on this case to contact their anonymous Crimeline (603) 624-4040. An autopsy scheduled for Tuesday is expected to give investigators a better idea of what happened.